Marita`s kort : Happy Halloween! This is such fun Marita, great image and love the bats. 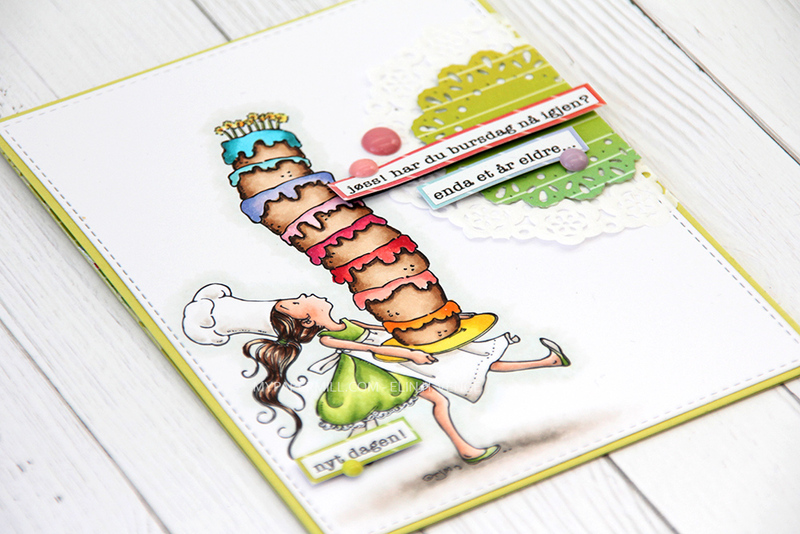 Thanks so much for sharing your creativity with us at Allsorts challenge this. Så lekkert! Heldig er den som får denne! This is so wonderful. I love this halloween card. This is spooktacular! I love your flying bats, punched borders and sweet little witch. Thanks for joining our Things with Wings challenge at Top Tip Tuesday. What a wonderfully fun Halloween candy bar holder and love your use of all of the fantastic die cuts! This is so gorgeous, love the colors and the details! Jättehärligt chokladkort med fina färger och detaljer!!! Da kommer jeg og ringer på den 31. - ikke for sjokoladen, men for den lekre innpakninga! Et herlig sjokoladekort med flott Halloweenpynt! Så stilig dette er! Nydelig motiv du har funnet og jeg liker punchene/sidene du har brukt. Lovely Halloween card, thank you so much for entering our challenge at Allsorts and good luck! What a lovely card. So stunning design. I like the colors you have used and that image is so cute. Thanks for sharing. Very creative project...I really like the added punches.